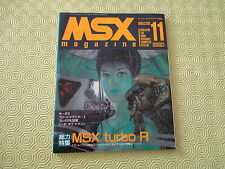 Home » Forum » MSX Talk » openMSX » About extension "Konami Ultimate Collection" in openMSX. About extension "Konami Ultimate Collection" in openMSX. It would be nice if you contacted me in private, so I can try to investigate. I tried to contact private, but the PM didn't delivered to you. Anyway contact here in public. used the Catapult GUI (on linux). command line you have used successfully for a quick test. and then reset the MSX. I typed the command on console (terminal) and the kuc.rom loads perfect as it should. From Catapult GUI don't works. So something goes wrong with Catapult way. bakoulis: what exactly happens if you try to do this with Catapult? OK, I just tested with Catapult and there it also works... can you explain to me what exactly happens if you try with Catapult setting the right mapper type in Catapult for the ROM? Yes. The KUC.rom loads the games menu and when you choose a game from menu, it reboots again to games menu! bakoulis: can you try that again and when you see the menu, can you type this in the console: "toggle_info_panel" and tell me what it says at "Mapper type"? Then I tried again without the KUC.rom on "Cart A" and says: "Konami Ultimate Collection" as it should! Then delete the .sram file and tried again with an empty sram file and the Mapper type was also empty.